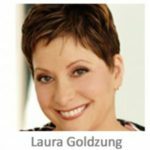 Laura Goldzung is President and CEO of AML Audit Services, LLC, an anti-money laundering consultancy specializing in independent testing. She has over 35 years’ experience in financial services, working in a variety of executive leadership roles. Her expertise also includes custom training and compliance consulting. Her clients include money services businesses, banks and nonbanks, payments and emerging fintech firms. Laura serves as a dispute arbitrator, contributes to a number of industry and university programs, and has written a number of articles on the topic of AML.